RoyalCanin Starter Kit for Pups & Kittens! 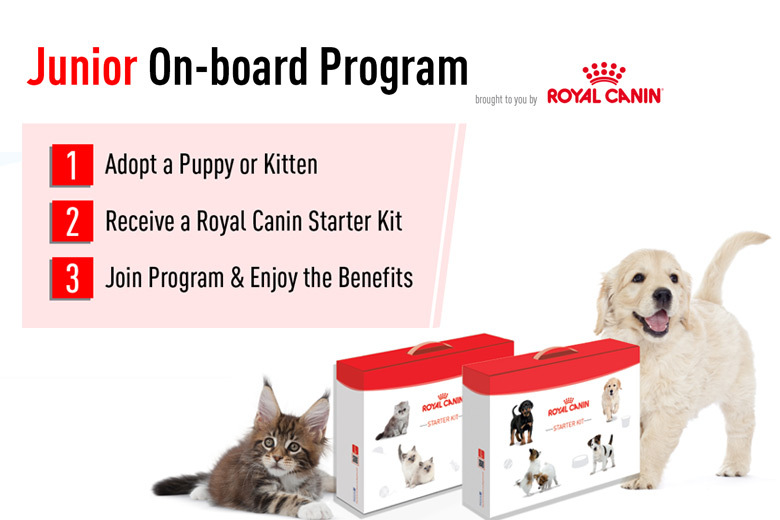 Receive a Royal Canin Starter Kit when you adopt a puppy or kitten from us! Visit http://bit.ly/1RBkKbL for more info on the benefits brought to you by Royal Canin Malaysia.